-Energy saving (cuts down energy consumption of the existing discharge lamp by 30-60%). -Natural light that comes from true colors (triangular fluorescent material generating 82Ra~90Ra). -Fast re-strike time: lighting and relighting taking less than 0.01 sec. 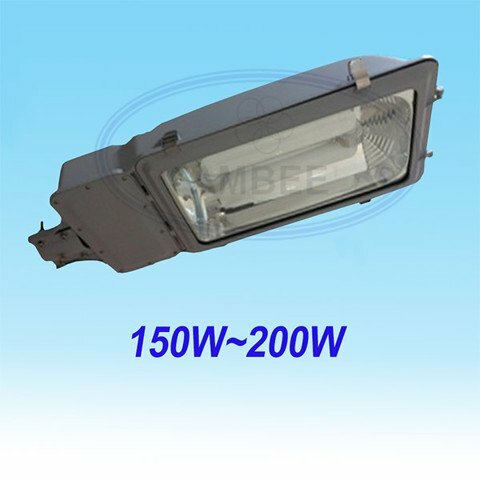 -Both the lamp body and lid are made of aluminum alloy die casting, the surface are treated by plastic spraying or baking finish for corrosion resistance, and the surface is smooth. -The reflex housing is made of high purity aluminum. After the electrochemical polishing, its reflectivity is high and optical property is stable. -The light fixture is equipped with a spring closing device, convenient for turning on. -Using lighting system for highways, roads in the industrial park, the factory area sugar factory.